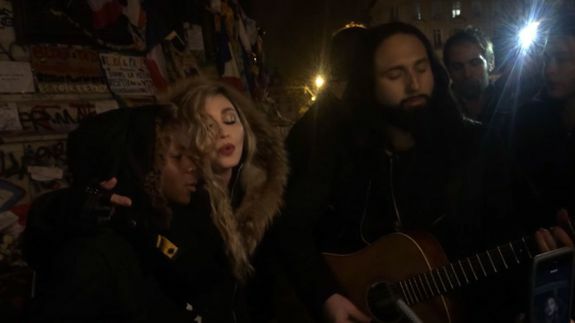 Madonna sings 'Imagine' in surprise Place de la Republique concert - trendistic.com: ever tried. ever failed. no matter. try again. fail again. fail better. You can now take selfies… with your feet?